For most people, their home is their biggest investment, so it makes sense that they would want to protect it as best they can. As the Southeast’s premier home improvement provider since 1972, 31-W Insulation understands homeowners’ concerns, and offers seamless house gutters that provide outstanding protection against the damaging effects of spillover rainwater. Our gutters are built from sturdy aluminum alloy coil for remarkable longevity. Add to that our expert installation service, and you can be confident that our gutters will provide your Lexington home with years of dependable protection. 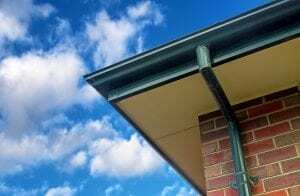 To start the process of having seamless house gutters installed, one of our knowledgeable team members will visit your Lexington home to discuss your budget requirements and color preferences as well as answer any questions you may have. This consultation is free, and the peace of mind you get from effectively protecting your house from water damage – well, that’s priceless. To schedule a consultation, contact 31-W Insulation today.